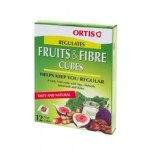 Ortis Laboratories was established in 1958 in Switzerland. The acknowledged expertise of ORTIS has been built with patience and perseverance. Its foundation: the enormous medicinal potential offered by plants that modern science rediscovers a little more each day. Three principles provide the foundation for homeostasis, showing that the old saying, “a healthy mind in a healthy body” is more relevant than ever. 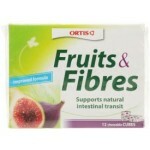 Their products are distributed in the UK by Cedar Health Ltd..
Amongst the Ortis product range, they market concentrated fruit cubes to help relieve constipation, a detox cleanse, and a siberian ginseng liquid for immunity and fatigue. Key point: Proven and reliable plant remedies for improving minor health discomforts.